Dr. Angelica R. Rohner’s undergraduate degree is in early childhood development and education. After two years of teaching special education, she realized her passion for helping children. Dr. Rohner graduated from the University of Mississippi School of Dentistry with a D.M.D. degree, and then completed a two-year internship/residency program in Pediatric Dentistry at the Children's Hospital of Alabama and the University of Alabama at Birmingham, receiving an advanced degree in Pediatric Dentistry. Within this residency, Dr. Rohner also trained in orthodontics of the growing child. Dr. Rohner is Board Certified in Pediatric Dentistry and is a Diplomat of the American Board of Pediatric Dentistry. During her dental education, she was chosen to receive the Quest for Excellence Award by the American Association of Dental Schools Council of Students that is awarded annually to only five dental students nationwide. She also served as a Public Health fellow for the American Dental Association. While in her residency, Dr. Rohner completed a Fellowship in Interdisciplinary Medicine at the UAB Sparks Center serving patients with special needs. 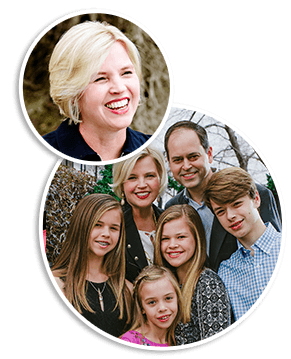 Dr. Rohner and her husband, Mark, have four children: Ramsey, Victoria, Katherine, and Elizabeth. In her spare time, Dr. Rohner enjoys watching her children play sports, volunteering in their schools, reading, biking and traveling. 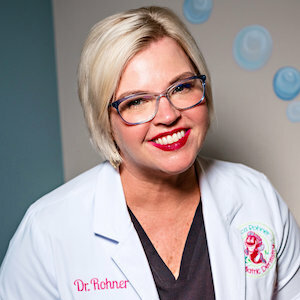 As a mother of four, Dr. Rohner can easily relate to every child and parent who visits her practice. Dr. Rohner and her entire staff actively support several local charities including: The Salvation Army, local food banks, The Forgotten Initiative, DSA (Down Syndrome Alabama), and the local foster care system. Dr. Rohner is also a member of the Mountain Brook Chamber of Commerce, Vestavia Chamber of Commerce, and Homewood Chamber of Commerce.